Here’s the List of Samsung Galaxy smart phones which would be getting Android Marshmallow 6.0 update in 2016. The Google’s latest Android 6.0 comes with some new unique features and is huge improvements over the Android 4.4 Kitkat and Lollipop. Samsung is very promising in providing the software / firmware updates for its devices. The Samsung smartphones we are mentioning in the list are not yet officially confirmed, but they are highly likely to get the Android 6.0 Marshmallow update. Samsung Galaxy A8 SM-A810F, Samsung Galaxy A9 SM-A9000 are the upcoming Android 5.1 Lollipop smartphones from the company which will also be getting the Marshmallow update before 2017. Company’ next Flagship, ” Samsung Galaxy S7″ will have Android 6.0 Marshmallow out of the box. There are less chances for Galaxy J3, Galaxy J5 SM-J500F, Galaxy J7 SM-J700F/ SM-J700H ( highly popular in India, Singpore), Galaxy J2 J200H / J200Y, Samsung Galaxy Grand Prime (models : SM-G530F, G530FZ, G530Y / SM-G530H, G530FZ/DS) are Getting the Marshmallow update or not. The same goes for Samsung Galaxy A5 (SM-A500F, A500F1, A500FQ, A500FU, A500H, A500HQ, A500K, A500L, A500M, A500S, A500X, A500XZ, A500Y, A500YZ) and Samsung Galaxy A3 SM-A300F as well, but might get the update. 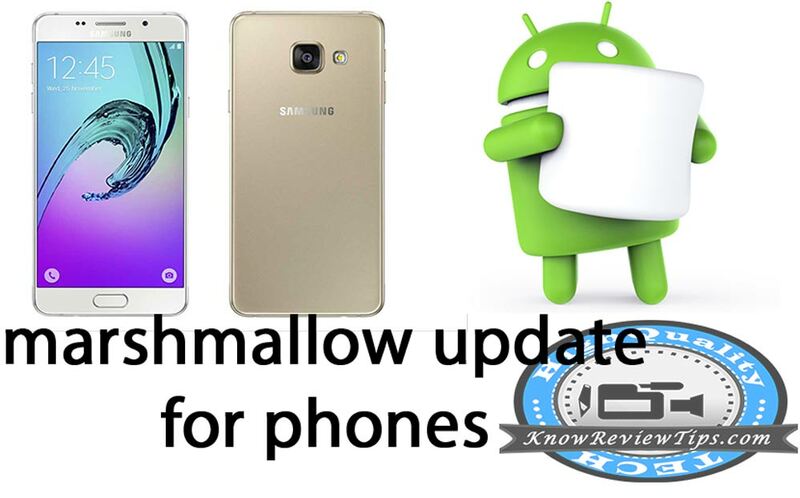 As Samsung Galaxy devices are highly popular on XDA developers so there is chance to port Custom Android 6.0 Marshmallow ROM using custom recovery.